Over 200 Y4-6s participated in the last event on the Banbury Academy 2017/2018 calendar on Thursday July 5th. Targeted at children who had not yet attended a festival, it was a lovely event to finish with. 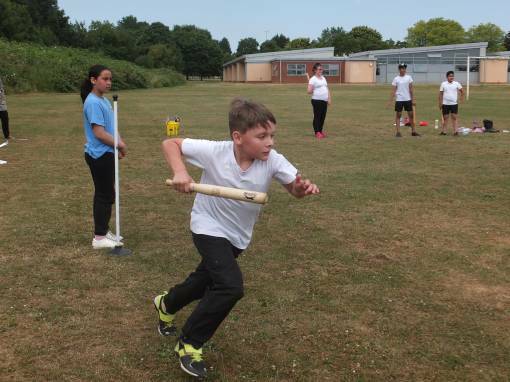 The children from St. Mary’s, Hanwell Fields, St. Leonard’s, Hillview, Harriers and Queensway primary schools enjoyed playing friendly matches of scatter ball rounders, diamond cricket, rounders and continuous cricket against each other. The festival was delivered by 24 experienced Year 9 and 12 Banbury Academy students.